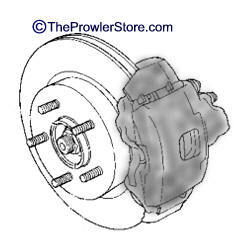 These are the high quality Dodge stock rotors made specifically for the Prowler. One set for both front wheels. One set for both rear wheels. These are the high quality Dodge stock pads made specifically for the Prowler. 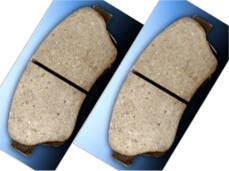 Original factory brake caliper covers. 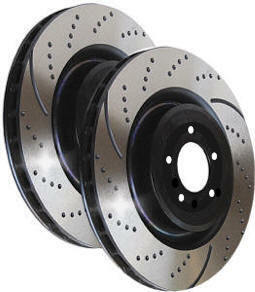 Fronts sold individually, rears sold only as pair. These parts have a core deposit. You will be charged $40.00 per item as a deposit. 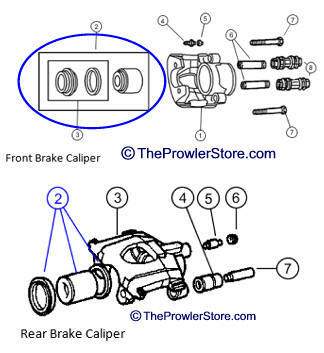 When you return your old factory caliper back to us we refund you the core deposit. Put sure include your name, address, phone and email. 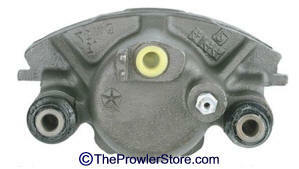 Rebuilt Calipers often available -call for pricing. 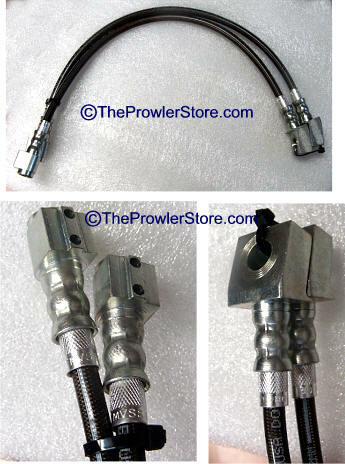 The Prowler Store brand Braided Brake line sets. Choose front set, Rear Set or Both.